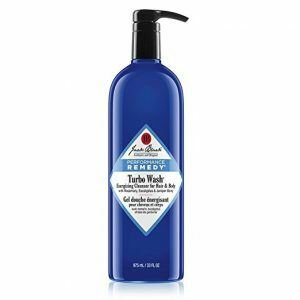 Body wash is a relatively new player in the men’s grooming world, but it certainly didn’t emerge on the scene without a whimper. Today, body wash – or shower gel – is a billion-dollar industry, and many people, including men, prefer it over the more traditional bar of soap. As you might expect, there are a lot of choices available for consumers. In this post, we’ll take a closer look at body washes, including what we think is the best body wash for men and best shower gel available. The Man Made Wash by 18.21 tops our list, but we review several others that are of similarly high quality. 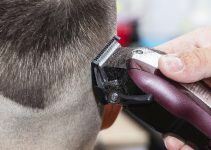 Every man’s needs are different when it comes to men’s grooming and choosing the right products for you – such as a body wash or gel – requires more than just grabbing the first container you see on the shelf. There are three basic types of body washes – shower gel, moisturizing washes, and exfoliating washes. Shower gel – Shower gels are designed for use on skin because they have a lower detergent level than shampoos. They do a good job of removing dirt and grime from the skin. Exfoliating body washes – Typically grittier than other types of body washes, exfoliating washes help remove dead skin cells while keeping your skin smooth and supple. It’s always important to familiarize yourself with the ingredients of any product you purchase. That said, all-natural ingredients are almost always better, and body washes and gels are no exceptions. Look for body washes that have moisturizing ingredients, especially if you have dry skin. Avoid harmful chemicals such as sodium lauryl sulfate and ammonium lauryl sulfate that are irritating to the eyes but also troublesome to the scalp and hair follicles. Alpha Olefin Sulfonate, a.k.a. AOS, Sodium C14-16, and Olefin Sulfate, contains small amounts of the toxin benzene. Meanwhile, DEA ingredients such as Cocamide-DEA are carcinogens that may put users at risk for cancer. If you have sensitive skin, look for a body wash with moisturizers. Also, choose a body wash that free of fragrances and dye. Glycerin is an ingredient found in many washes, gels, and soaps and helps hold moisture in your skin. If you have dry skin, you want to avoid harsh detergents and look for a product that’s more moisturizing. Shea butter, an excellent moisturizer, is found in many body washes. Also, creamier formulas are generally more moisturizing than other types. If you suffer from acne or other skin conditions, look for a body wash with exfoliating qualities that remove dead skin cells while keeping pores open. Tea tree oil is a helpful ingredient, as well, because it helps reduce inflammation. A soothing fragrance helps relax you and keep you fresh throughout your busy day. But choose fragrances that come from essential oils and not from artificial ingredients. Don’t hesitate to read customer feedback and product reviews before buying your body wash. You’ll not only find out what others like or dislike about the product but also learn about lathering ability, scent, etc. 6. What’s the shelf life? Choose a body wash with a longer shelf life (even up to 18 months). While it might not last the entire shelf life, especially if you use it regularly, the chances are good that it will remain fresh and effective for as long as you need it. OK, let’s get to the heart of the matter and get rolling with our men’s body wash reviews. You may or may not have heard about 18.21 Man Made. If not, it’s a company worth checking out. Based in Texas, 18.21 is a small company that produces premium grooming goods that “gentlemen will take pride in owning.” It’s the wish of its three founders to provide a nostalgic and modern grooming experiences, and all of their products are crafted with an aroma of sweet tobacco. They’ve also managed to develop the best men’s body wash – which is a product that’s inspired by the look and feel of fine whiskey. Their wash is paraben-free and infused with macadamia, quinoa, and jojoba to bind moisture to your skin while providing an attractive sheen that will last throughout your day. Moreover, your skin will feel hydrated, but not greasy as with other body washes that claim to have moisturizing qualities. The 18.21 Man Made Wash is also highly versatile and available for use as a body wash, shampoo, and conditioners. It’s truly one of the most effective, multiple-use men’s product out there. And no matter how you use it, you’ll like its rich, full lather (it’s also good for all skin and hair types). The 18.21 wash includes the company’s distinctive scent of sweet pipe tobacco – but not in an overpowering way – and hints of vanilla, tonka bean, spicy saffron, and dried fruit. 18.21 is a small company that’s making a big name for itself thanks to products like its quality body wash. You’ll love its unique scent and the fact that you can use it from head to toe. A long-held belief says that men sweat more than women. While gender isn’t the only factor that determines how much a person sweats, you get the picture if you’re a man. We sweat. And, as a result, we sometimes stink. Oleavine’s all-natural body wash is gentle enough to use every day but strong as an ox when it comes to dealing with body odor (including foot odor). For one, it’s full of aromatherapy-grade essential oils that deal effectively with stink – and with skin discomfort and issues such as acne and blemishes. They’re oils used for centuries in the battle against body odor. But there’s more to the Oleavine Antifungal wash – so much more, in fact. Made with organic and natural ingredients, Oleavine’s body wash is excellent for dry, inflamed skin thanks to nourishing botanicals rich in skin moisturizers. You’d be hard-pressed to find a better body wash for dry skin. Here’s another thing: this stuff includes antibacterial extracts such as Neem oil that not only defends against odor, but also against things like jock itch, athlete’s foot, ringworm, and toenail fungus. (Have you ever had jock itch? If so, you’d reach for a bottle of uranium if you thought it would relieve the problem). The Antifungal Soap battles odor, meanwhile, with a pleasant scent that contains menthol but doesn’t enter a room before you do because it’s so strong (a common problem with some lower quality colognes). Oleavine hand-harvests its products in small batches to maintain optimum quality, while it also uses a steam-distilled process that gets the most out of its active, organic components. And its tea tree oil comes from trees grown in the pristine Bungawalbyn Valley Basin of New South Wales, Australia. If you get a chance, check out some of the basin’s photos online. It’s a beautiful place. It fights odor, it protects against fungus, it’s great for dry skin – there are plenty of reasons why we included Oleavine’s body wash on this list. You’ll even love how it smells. Like 18.21 Man Made, Puracy is another up-and-coming company from the Lone Star State. Their Natural Body Wash with Citrus and Sea Salt scent work with any skin type (and is excellent for men and women), but it’s particularly effective for sensitive skin because it doesn’t include sulfates that make lather. Instead, you get an all-natural formula that doesn’t include artificial fragrances, dyes, parabens, or phosphates that have a negative impact on your skin’s pH balance. In short, it’s the best body wash for sensitive skin. Then again, one would expect that a wash (or, in this case, gel) created by Ph.D. chemists – which is the case with Puracy’s Natural Body Wash – is skin-friendly. One of its main ingredients is pink Himalayan sea salt, which naturally hydrates, balances, and exfoliates all skin types. 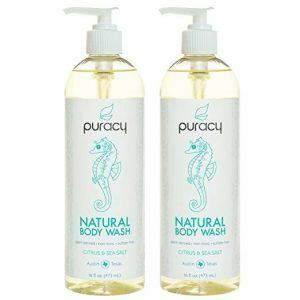 Another key ingredient in Puracy’s Natural Body Wash is Coco Glycinate, a coconut-based surfactant that produces plenty of foam without disrupting the pH balance of the outer layer of skin. 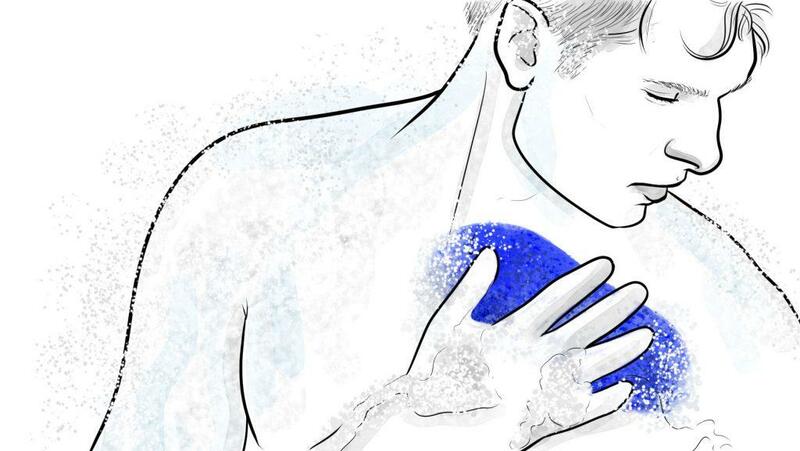 Disrupting this layer leads to dryness, redness, and irritation that can drive men with sensitive skin to drink. And if you suffer from eczema or dermatitis, this wash if for you. Puracy is adamant about making its products with plant-based ingredients that are never tested on animals. Their Natural Body Wash is even certified cruelty-free by PETA. Men or women will also like the Natural Body Wash’s scent, which includes the (natural) fragrance of citrus groves and a gentle breeze of ocean air. It’s a refreshing scent that leaves you feeling energized. You’ll also like its lather – a rich, luxurious foam that isn’t created by chemicals. If you’re a stickler for natural ingredients and have sensitive skin, you’ll want to give this gel a long look. Puracy’s formula provides a definite solution to men and women who suffer from skin irritation. Molton Brown of London makes high-end products. Yes, you’ll pay a bit more but, particularly in the case of its Black Peppercorn Body Wash (formerly known as Re-Charge Black Pepper), you’ll get a product that rises above the rest. It provides a deep clean that eliminates skin toxins and other impurities. It’s bold and spicy but also hydrating enough to soften rough skin. The scent is awesome, and the folks at Molton Brown say the scent conjures up the scent of hot desert sands and a spice-spiked breeze. It’s blended with Madagascan black peppercorn oil (which provides antioxidant protection), coriander, and basil. Yes, it’s hot and spicy, but hardly off-putting. The detoxifying black pepper oil helps boost circulation and relaxes muscles, making it great for a post-workout – or other activity – shower. But it works just as well for getting your day off to a high RPM start. You can get the same wash in different scents, which many women find just as satisfying. Makes for a nice unisex shower date when the mood strikes. The amber-colored gel forms a mild lather – not clouds of suds, mind you, but just the right amount you need. Its primary ingredients, pepper seed oil and glycerin, act as an astringent and moisturizer, respectively. Both are great for your skin. Molton Brown’s Black Peppercorn wash will get you ready for the day while also reinvigorating you after a long day or a tough workout. Its scent is unlike any other and popular with many men. 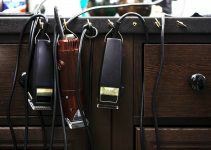 Always a great addition to your grooming kit. Brickell co-founders Josh Meyer and Matt Bolduc saw a need and founded a company based on it. 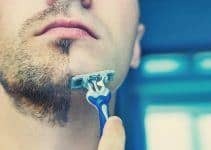 Specifically, Meyer and Bolduc did the research and discovered that there weren’t enough premium men’s grooming products available that only used natural ingredients. But they also wanted natural products that they could relate to as everyday men. Thus, Brickell formed in 2014 – in Bolduc’s garage – and has become one of the fastest-growing skin care and grooming companies on the planet (their products are sold in over 20 countries). With products such as their Invigorating Mint Body Wash for Men, it’s easy to see why. Brickell’s body wash earns high marks on a lot of levels, including with its natural and organic ingredients that include skin-friendly additions such as aloe vera, jojoba oil, glycerin, vitamin E, and tea tree oil. It’s a great wash for guys with sensitive skin, but for anyone, too. We’ve talked about the importance of glycerin in previous posts, including in the best bar soaps for men, while aloe vera restores moisture and vitamins to your skin and hair. If you’ve ever applied aloe vera to a burn, you know how skin-friendly it is. Jojoba oil, meanwhile, cleanses your skin of oil and bacteria while rebuilding its natural cushion. Brickell’s Invigorating Mint Body Wash works into a lather that provides a deep clean which leaves you feeling fresh all day long, while its mint scent, created by natural peppermint, is light and easy but still noticeable. And it will certainly help kick-start your day when you apply it on your body during your morning shower. The Invigorating Mint Body Wash is also good for shampooing your hair. Simply put, there’s plenty to like about Brickell’s signature body wash, not the least of which is that it doesn’t contain any chemicals or harmful sulfates. All of their ingredients are scientifically formulated to create a quality body wash that’s suitable for men of all skin types. No, it’s not inexpensive, but Brickell’s Invigorating Mint Body wash lives up to its company’s growing reputation for quality. It definitely provides a pick-me-up first thing in the morning. You have to hand it to the folks at Old Spice – they certainly did their research before launching their Fresher Collection a couple of years ago. Old Spice partnered with a leading neuroscience research firm to see if its Fresher Collection scents had the ability to calm the mind and body, as the great outdoors (and it’s wonderful smells) has a reputation for doing. Sure enough, science-backed them up. The result was the introduction of five scents – Denali, Amber, Citron, Fiji, and Timber, that help make a man smell great. Denali, named after the tallest mountain in America, is a scent unlike any other and helps make Old Spice’s Body Wash the best smelling body wash that lasts all day. Old Spice is hardly new to the men’s grooming game. They’ve provided quality products for men – cologne, deodorant, aftershave, etc. – for a long, long time. Their signature scent is distinctive, to say the least, and many men love it. 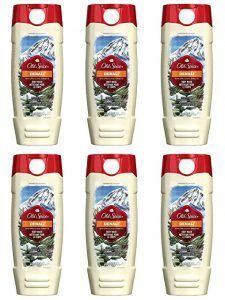 Denali maintains some of Old Spice’s original spiciness but with a hint of spruce trees – as you’d find on a mountain climb – as well as the scent of a snow-capped peak. It’s big and bold, but also crisp and manly. You won’t want to leave the shower after cleaning yourself with this wash.
You’ll also like how this wash lathers and removes dirt, sweat, and odor quickly. The Fresher Collection features Old Spice’s odor-fighting technology (well, actually, Procter & Gamble’s technology since P&G owns the Old Spice brand) which kicks in as sweat occurs. That certainly gives you some peace of mind as you grind your way through a busy day. And, hey, scents like Denali and others in the Old Spice Fresher Collection are “associated with masculine activities.” Nothing wrong with that. Old Spice has always ranked near the top when it comes to distinctive scents, and their Denali body wash is proof of that. It’s a scent that’s going to last well into your day and will certainly gain the attention of others. Jack Black stands behind its PureScience formulas that are free of synthetics, parabens, and coolants – as well they should. Their natural Turbo Wash Energizing Cleanser for Hair & Body certainly follows suit with vegan, cruelty-free, and dermatologist-tested ingredients (and results). 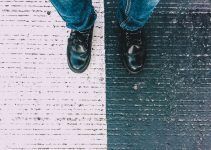 And that’s the thing – just because a product has all-natural ingredients doesn’t mean it automatically ranks near the top among other quality products. The results it provides have to be good, and Jack Black’s Turbo Wash Energizing Cleanser delivers in that regard. A powerful antioxidant, organic green tea has anti-inflammatory and anti-bacterial properties. Eucalyptus reduces bacteria on the skin’s outer layer to support the immune system. Rosemary warms the muscles while stimulating the mind and body. Rosemary – along with eucalyptus – even act as a decongestant. These surfactants provide a gentle, sulfate-free cleaning for both skin and hair. You’ll like how this body wash scrubs away sweat and grime. (And, yes, it works well as a hair cleanser, too). While Jack Black’s Turbo Wash isn’t cheap, you’ll get a nice bang for your buck. You’ll also enjoy its fresh, energizing scent. Jack Black’s products have shown up in some of our other reviews, so they’re a company always worth watching. Their Turbo Wash is a good all-around product with a long list of qualities. Like Jack Black’s Turbo Wash, Rugged & Dapper’s body wash is a dual threat: it’s an excellent wash but also doubles as a shampoo to give you a 2-in-1 solution for your morning hygiene. Even better, it’s suitable for use by men of all skin types: normal, sensitive, oily, dry, rough, and even men with thinning or color-treated hair. All in all, we love its versatility. The Rugged & Dapper Shampoo & Body Wash primarily consists of natural ingredients, such as tea tree oil, rosehip oil, and orange peel tincture, while providing a deep cleaning that eliminates excess grime and oil from head to toe. It also deodorizes and revitalizes the skin in a way that gets you ready to face your day. It won’t leave your skin feeling dry and itchy. 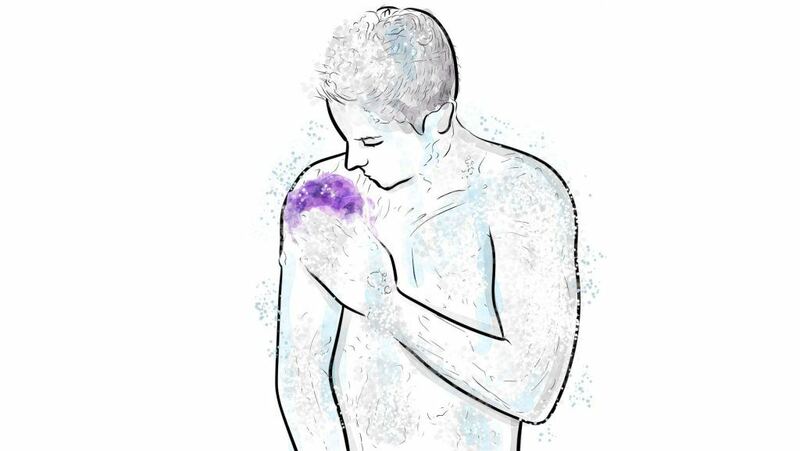 While a body wash’s lather isn’t a big deal to some men, it is to others. If you fall in the latter group, you don’t have to worry about wimpy suds with the Rugged & Dapper Shampoo & Body Wash, because it creates a rich foam that helps provide freshness. We also appreciate the R&D wash’s masculine scent that lasts throughout the day. No one likes feeling less than fresh midway through a long work day. It’s hard to beat the all-purpose practicality of the Rugged & Dapper Shampoo and Body Wash. It’s a 2-in-1 solution that’s a great addition to any man’s shower. True, you’ve been washing since, well … let’s just say that your mother probably has pictures of you in a bathtub from when you weren’t much older than a toddler and learning how to bathe. But that doesn’t mean an old dog can’t learn new tricks. Or, even a young dog. 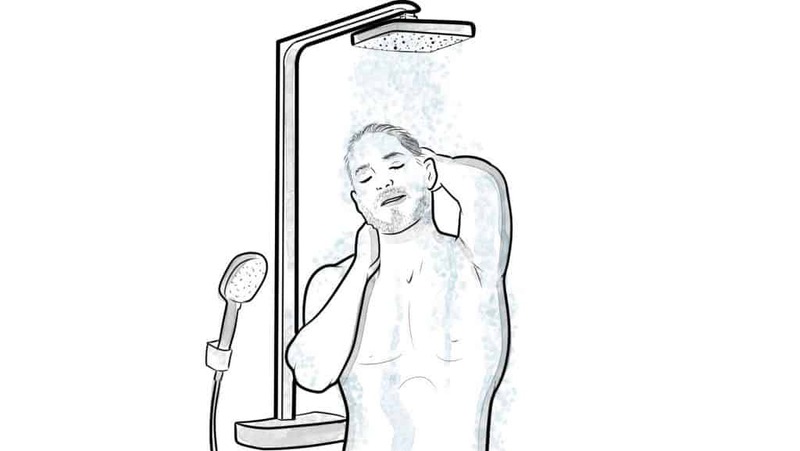 The first step in showering is stepping under the stream of water while getting your skin nice and wet. The water temperature should be warm, but not too hot because hot water is damaging to the skin. While we don’t have access to statistics, it’s likely that many men apply their body wash or soap by hand. You know the drill: rub some of the liquid between the palms of your hands and then massage it into the skin. But applying body wash with your hands is often inefficient and wasteful. The wash or gel will slip from your palms, wasting a decent amount of product that was meant to clean your skin, not go down the drain. Loofahs (or poufs) are excellent for exfoliating the skin. Poufs tend to be gentler than loofahs. Wash cloths (or bath mitts) don’t produce a lot of lather but get the job done when it comes to cleaning. They also provide the least barrier between your hand and skin, which allows you to massage your skin while showering or bathing more deeply. Once you’ve chosen something from which to apply your wash/gel apply about a ½ teaspoon – or a bit more – on your sponge or washcloth. Work the gel into your cloth or sponge until a lather begins to form. It shouldn’t take you more than a few seconds unless the wash doesn’t easily lather. Note: Body wash typically cleans more effectively when it lathers. You’re not washing your car, so don’t feel like you have to work your wash or gel deep into your skin. Scrubbing too hard may irritate your skin, especially if the wash already has ingredients designed to exfoliate your skin. Scrub your way down your body from top to bottom (if you’re washing your hair, do that first). Don’t forget to focus on the areas that are hard to reach and prone to sweating more than other areas. You know where. Save the dirtiest areas for last. Apply more body wash, if needed. Once you’ve worked up a good lather all over your body and (gently) scrubbed each area, it’s time to rinse off the gel or wash.
A lot of it was probably rinsed off during the scrubbing process, but make sure that you get all it off. Doing so will help keep your skin from becoming too dry. Finally, step out of the shower and dry yourself off with a towel. This step isn’t overly complicated either, but lightly pat your skin dry rather than scrubbing as if you were drying off your car after a hand wash. If you have dry skin, you may also want to leave your skin damp to absorb the remaining moisture of your wash. And don’t forget to jump into some comfortable clothes after the shower. There aren’t a lot of options for cleaning your body. There’s bar soap – that’s been around since forever and a day – and there’s body wash, which didn’t find it way onto shower ledges until the late 20th century. There’s also a good rainstorm or the nearest river, but you still need some soap product to get a true cleansing. 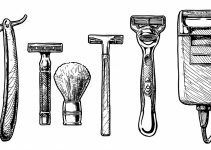 Today, body wash and bar soap have a very similar (and sizable) piece of the pie when it comes to the grooming products market. Many, many people have switched to body wash in the past few decades and whether that trend continues remains to be seen. But is body wash better than soap? Or, vice versa? While body wash is generally more expensive than bar soap, it also – in most cases – offers more benefits for the skin. Newer washes have lower pH balances and contain skin conditioners that moisturize your skin while also cleaning it. Many body washes and shower gels also have ingredients that exfoliate the skin, i.e., remove dead cells from the upper layer of your skin. There’s more waste with body wash than with bar soap. You know how much lather you’re going to get with a bar soap. With a body wash, however, it’s not always easy to determine how much to pour onto your wash cloth or loofah. If you pour too much, you risk the potential of sending the excess down the drain. Bar soaps will, A) save you money, and B) probably last you longer than body wash. That’s not always the case, however. There are other pros to bar soap, including the fact that most soaps now contain glycerin – a great moisturizer. That’s important because soap often gets the bad rap of drying out skin. There are also plenty of bar soaps available that don’t contain fragrances – which many body washes do – and that’s good news for people with certain skin allergies. Bar soap has a higher pH level than liquid soap meaning that some (not all) are more drying to the skin. It is true that many strong bar soaps are too harsh for many people and may strip away important oils while leaving your skin irritated. 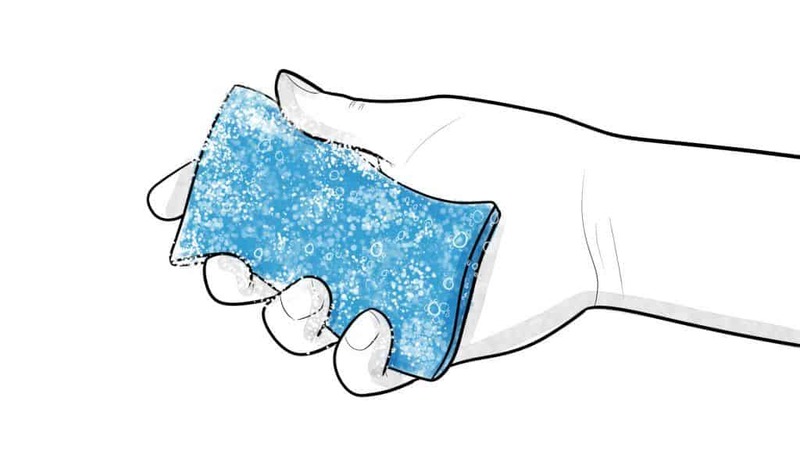 Bar soap also leaves a scum if you’re not careful; that’s not likely to happen with body wash.
Bar soap is sometimes accused of harboring more bacteria than body wash because, well, it just sits there in the shower until the next time you or someone else uses it. But while bacterial levels are a tad higher on previously-used soaps than on fresh bars, there’s little or no bacteria left on the skin after using it. On the other hand, if you’re using a wash cloth or loofah to apply your body wash, bacteria may be left behind on those items – which is why it’s important to rinse out your wash cloth or loofah after each use. There’s no easy way to declare a winner in the body wash vs. bar soap debate because both come down to personal choice. Which one you choose depends on many factors – ease of use, skin type, hygiene concerns, scent, and so on. As a whole, body washes keep your skin well-moisturized. But they also cost more. In other words, it’s all up to you. With new products, improved products, and new companies still emerging, it’s not easy to keep pace with the body wash market. But finding the best body washes and shower gels in a constantly-evolving market comes down to two fundamentals: quality and performance. If a product ranks high in both of those two areas, it deserves a longer look. Other factors are taken into consideration, of course – such as how well a given wash or gel moisturizes the skin, its ingredients, and even versatility (if it’s usable in other ways besides washing your body). We also look at cost and always hope to provide a wide price range that fits many budgets. And, of course, the scent is important, as well. We did a lot of research and read the reviews of customers and other reviewers alike. Products that get a lot of positive reviews and high rankings certainly grab our attention. Finally, we always welcome your comments or questions. Is there a body wash or gel on this list that you’ve used? If so, what are your thoughts? Or, is there another product you prefer and think should be included in our reviews. Mine just uses my Molton Brown body wash from b-glowing. We take turns picking out the scent!